OPEC has no direct impact on the oil market, and non-OPEC countries are becoming more influential, Russian Energy Minister Aleksandr Novak said at the 6th International Seminar of the Organization of the Petroleum Exporting Countries (OPEC) in Vienna. 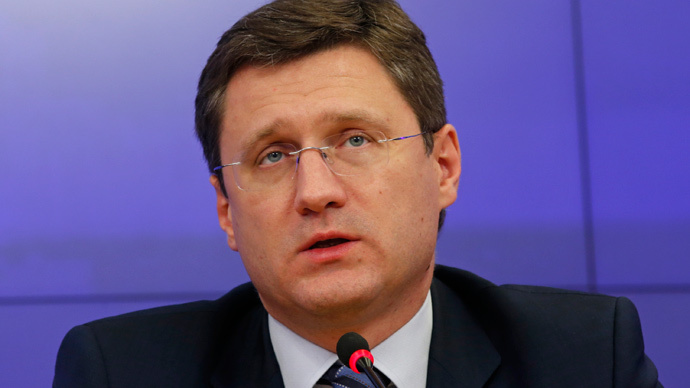 "OPEC still has a significant role as a regulator with spare capacity, but it should be noted that there is no direct dependence from OPEC’s decisions today,” Novak said. “The role of non-OPEC countries, especially those countries that are not members of OPEC and also not exporters but increasing production for their own consumption, is becoming more important." The minister added that the talk was of the US as well, where production has until recently been growing rapidly. The minister’s statement came a couple of days ahead of OPEC’s decision Friday on its production quotas. In 2014 US production jumped to a 100-year high, but it has recently slowed as lower prices have made investment in many US shale projects unprofitable. Last week the total number of oil and gas drilling rigs in the country fell to 875 units, 991 less than a year ago. A so-called “price war” has escalated since last November when OPEC decided to protect its market share, rather than cut production and help prices grow. It kept the quota at 30 million barrels a day, and in the second half of 2014 oil prices slumped by 50 percent. However, the biggest OPEC members, such as Saudi Arabia and Iran, have maintained that they won’t cut production. There’s a deficit in the oil market, as a number of projects are frozen because of low prices, Novak said. It will be clearly felt in a few years, he added. The stable and reliable supply of oil from Russia will smooth out the possible shocks to the world oil industry and strengthen energy security, the minister said. The country aims to keep production at 10.5 million barrels per day over the long term, Novak said. "Russia is able to reliably and predictably ensure stable deliveries to the world market at a very wide range of prices," Novak said. Russia’s oil reserves are among the cheapest in the world by production costs, as they have a margin of economic strength even at low prices, Novak said. The prices established on the market today are comfortable enough for the oil industry. There is no secret that Russia reckons on $60-$65 per barrel in its 2015 budget, he said. The stability of the Russian oil industry is also confirmed by the interest of foreign investors, despite Western sanctions. The share of foreign investments in the equity capital of public Russian oil companies is more than 26 percent, the minister said.